Well, it’s the 1st of December and with no apologies I’m launching into a full month of festive crochet! I love this time of year. I Welcome the dark afternoons as an opportunity to light the fire, wrap up in snug blankets and crochet. While others will tell you this time of year makes them glum and tempted to hunker down and wish for spring I am full of excitement. Early morning walks in the forest are filled with birdsong and in the garden we welcome the return of winter birds and the beautiful colours of tree stems and berries. I fill my house with nature finds. Fir cones, feathers and seed heads. And, with the 1st December, out comes the advent calendar and a growing collection of festive decorations. This year I wanted to share some of my favourites with you. They are all quick and most are very simple, so that even a beginner can manage them. I will try to post a few step photos along the way too. 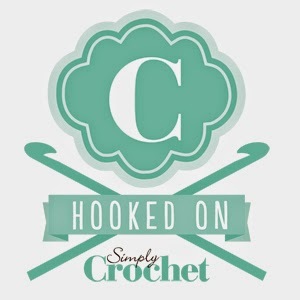 Most are free and a few are sold on Love Crochet or Ravelry. Today’s pattern is a very simple star. You can download the pdf pattern for free on Love Crochet or Ravelry and you can find more photos in my Instagram stories. You don’t need to stop at one or two – a lovely garland can be made by stitching your finished stars to a length of ribbon. 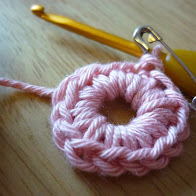 Or you can stitch a hanging loop to the top point and hang them on your tree. If you’re feeling a little bit nervous, I hope the collage of step photos below will make the steps clearer – you’ll be seeing the stars again in a few days time, along with the holly in another new pattern. 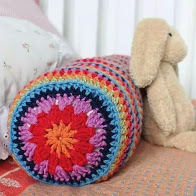 Use sparkly yarn, festive shades or plain white. Have fun and experiment. Don’t forget to share your makes on my Facebook page, Instagram or Twitter with the hashtag #grannycoolchristmas.